Home / Philadelphia Phillies / Sports / Washington Nationals / Will video game reveal Bryce Harper's team? 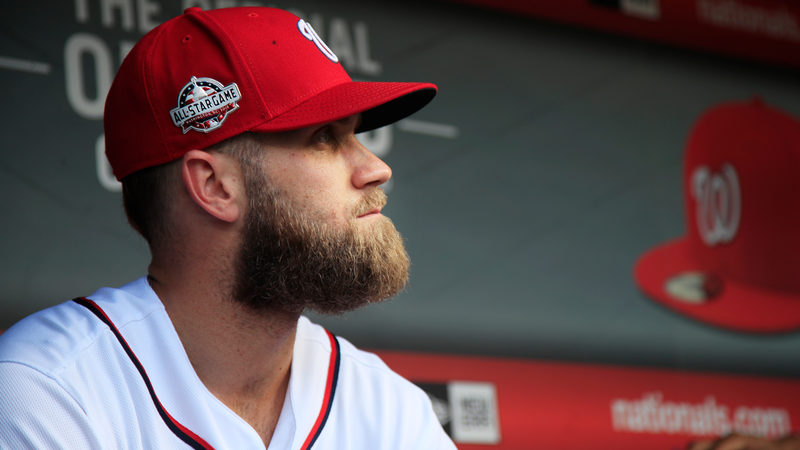 Will video game reveal Bryce Harper's team? The Bryce Harper rumors are reaching a fever pitch.There is speculation that the superstar free agent will make his choice official this week. And the Philadelphia Phillies are still one of the most talked-about teams.Harper will be on the cover of "MLB The Show '19" video game. The new version doesn't come out until March, but the makers are hinting at a big reveal Tuesday. "You'll want to keep an eye on this account tomorrow... just saying," the "MLB The Show" Twitter account said.